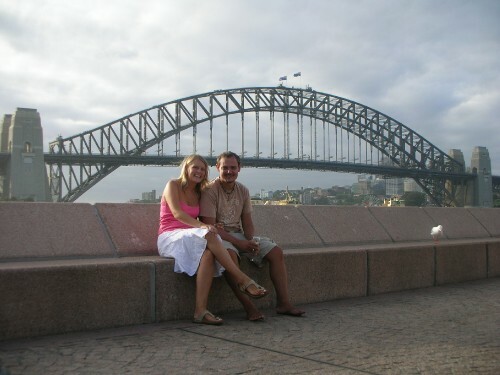 After arriving in Sydney and the weather being in the 90´s we were really excited. Unfortunately this had changed by 4pm and it was raining and windy. This became a common occurence. Basically you get 3 of the 4 seasons in a day. So if you go out in the morning and it is sunny, take a jacket and umbrella just in case. Vice versa if it’s raining take sun cream.We were staying in a place called Broadway in the Unilodge. It was ideal for us as the area had a load of bars, internet access everywhere, a few restaurants and just a short cab ride from the major attractions.Anyway, we did the bus city tour to get our bearings and it was just like any other city tour with all the tourist attractions.Allow about a day to see Sydney harbour where you can have a nice wine and lunch overlooking the bridge, then onto the opera house where we would recommend the 1hr tour. Down by the harbour is a place called “the rocks” which houses all the “posh¨ restuarants. We found them a little too much with dress codes etc just for bars, for a better night out I would suggest Darling Harbour which is a little more touristy and therefore a little more laid back (Steak and wine bar was our fav).Not too impressed with Bondi though, nice beach but packed to the rafters so we gave it a miss (perhaps we have been spoiled).If you are into the dogs, Wentworth Park Greyhounds is a good cheap night out for weekend and Monday Evenings.The only tour we did whilst there was the Wine and Wildlife with a guy called Steve who was a great laugh. We managed to feed Kangaroos in the small zoo on the way and see a load of Australian Wildlife. There were rumours we would be able to cuddle a Koala or hold a snake but this did not happen the day we were there, maybe because we were late due to an accident on the freeway. When we arrived at the Wineries the Wine was free flowing and we tasted well over the 30 varieties advertised as well as a very nice cooked lunch supplied.